Mother Board Connector One Year Warranty. - 4 Pin Molex - SATA Connectors - 4 pin x 1. - CPU Connector - 20 4 pin Connector x 1. During past 6 months. 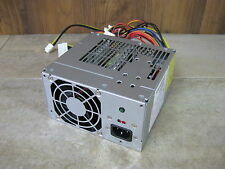 Liteon 300w Power Supply . Condition is Used. Shipped with USPS Priority Mail. NEW and IMPROVED! Noise Level: Maximum of 32db at 100% system loading. Efficiency: 70% Min. at full load. Approved by CSA, FCC, TUV, CB, RU & CE / 1 Year warranty. Safety Approval and Warranty. Testing Procedure. Connector(s) 14 Pin. If possible, include photos or video to assist in understanding the problem. Key Functions Test Expected Result Result. Tested for key functions, R2/Ready for Resale. OUTPUT POWER 200W. If you prefer you may also feel free to recycle such materials to any local R2 or e-Stewards certified recycler. Acer uses all 3 interchangeably. MTBF: 100,000 Hours on Maximum Load at 25°C. Output Power: 220 Watt. SATA: 15 Pin. Compatible Part #'s. Pulled from working iMac A1419. 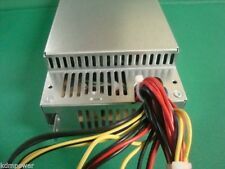 HuntKey HK340-71FP 54y8819 240W 24 Pin Power Supply 1 yr warranty! Reset table power shut down. SATA Power Lead Ready. Short circuit protection on all outputs. General Information Technical Information Fan Rear Fan. High efficiency. 100% Hi-pot tested. 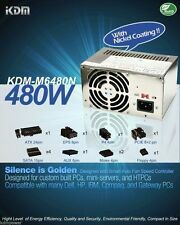 OUTPUT POWER 240W. If you prefer you may also feel free to recycle such materials to any local R2 or e-Stewards certified recycler. Part Number: 54Y8846 54Y8824 234863. Genuine OEM Lenovo ThinkCentre M73 M91 M81 M71 M57E SFF. Form Factor: Small Form Factor SFF / SFX. Max Power: 240 Watt. Condition: New, System Pull. (Read bottom. Power cord is NOT included. A : Very Clean. Very light wear or hairly scratches can be found. No dings, dents or cracked spot. A- : Overall nice and clean. The item may have light wear or tiny scratches. ). 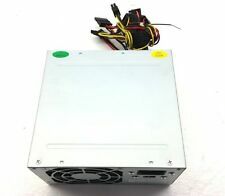 $NEW POWER SUPPLY FOR LITEON PS-5221-06 PS-5221-9 DPS-220UB-A CPB09-D220R Description: New genuine Acer 220 Watt form factor computer power supply. You will receive either a Liteon, Delta or Chicony power supply depending on availability. Acer uses all 3 interchangeably. Compatible Part #'s: PY.22009.002, PY.22009.003, PY.22009.005, PY.22009.006, PY.22009.008, PY.22009.009, PY.22009.011, PY.2200B.001, PY.2200B.002, PY.2200B.003, PY.2200B.004, PY.2200B.006, PY.2200B.008, PY.2200B.009, PY.2200B.011, PY.2200F.004, PY.2200F.006, PS-5221-06, CPB09-D220R, PS-5221-06A2. 0° C ~ 50° C on 480W Output Load ;. Output Power 480 Watt. MTBF 100,000 Hours on Maximum Load at 25°C. Current 15A 0.5A 18A 0.8A 15A 2.5A. Place your order Now! 24 (20 4) Pin x 1. ATX Connector. Mother Board Connector - 4 Pin Molex - SATA Connectors - 4 pin x 1. - CPU Connector - 20 4 pin Connector x 1. SOLD OVER 100 . During past month. Compaq CQ5000 250W Power Supply LiteOn Model#: PS-5251-08 H TESTED, SHIPS FREE! 100% working, You will get what you see from the Actual picture. M82 M78 M92P. M75e E73 230W. 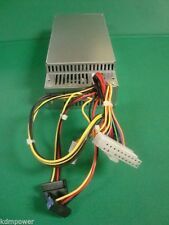 Power Supply LiteOn for Emachines and others Model: PS-5221-9, 80PLUS BRONZE. Condition is Used. Shipped with USPS Priority Mail. We are not a middle man vendor. Also, this unit have a 120mm that will keep your computer hardware nice and cool! 480 Watt Power Output. • 100% Burn-in under high ambient temperature (50 degree C). • Over Power Protection. MPN 54Y8894. OUTPUT POWER 280W. If you prefer you may also feel free to recycle such materials to any local R2 or e-Stewards certified recycler. See pictures for details. Check for compatibility before buying. CHECK PICTURES FOR MORE INFORMATION. CHECK PICTURES FOR REFERENCE. TESTED FOR KEY FUNCTIONS. Check pictures for reference. As you can see from actual picture,( What you see Exactly what you get ). Manufacturer: LITEON. Replaces HP P/N: 5188-2625. Condition: Used. All are interchangeable and supplied by Acer. Acer Aspire X1420. Acer Aspire X1420G. Acer Aspire X1920. Acer Aspire X3400G. Acer Aspire Z3101. Acer Aspire Z3730. Acer Aspire Z3731. Came out of an upgraded system. Tested good. Pulled from 2007 2.8ghz c2d extreme iMac. 30 day money back guaranteed returns. Please contact if you have any issues before starting a return. We are an R2 2013 certified facility. Be aware that my hours of operation are 9am-5pm Pacific, M-F.
Liteon AC Adapter. Model PB 1320-01C-ROHS. Output 12V. 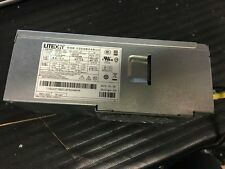 LiteOn 300W Power Supply (HP 5188-2625)(PS-5301-08HA) - Working Condition!! This unit is in working condition. It uses a standard PC power cord to plug into a wall outlet. Apple model #: LITEON PA-1311-2A. (A representative will respond quickly. Manufacturer LITEON. Tested for key functions, R2/Ready for Resale. This item passed all key functionality tests. Why Buy From Us. 7) Prompt service and repair. Works great! Dell P/N KF76H.